After a delay due to rain, Aric Almirola started Stage 1 in the 11th position – his second-highest starting position at the 1.54-mile track in his Cup Series career – and ended it in the fifth spot, earning him six playoff bonus points. During the scheduled competition caution on lap 30, Almirola pitted for fuel, four tires and adjustments to help him with rear grip. Shortly before the end of Stage 1, the 33-year-old entered the top-five in the No. 10 Ford Fusion. The Tampa, Florida, native began Stage 2 from the fourth spot and ended the stage in eighth to earn three bonus points. Before taking the green flag in Stage 2, Almirola visited pit road for service from the Smithfield pit crew. On lap 99, Almirola reported that the handling of his No. 10 machine was loose and he needed more grip overall. On lap 127 he made a scheduled green-flag pit stop for fuel, four tires and adjustments to help the Ford Fusion’s handling. The third caution of the race came out on lap 158, and Almirola once again visited pit road for service. He completed a sprint to the end of Stage 2 and ended it in the eighth position. Almirola entered Stage 3 in the 16th position and completed it in 13th. 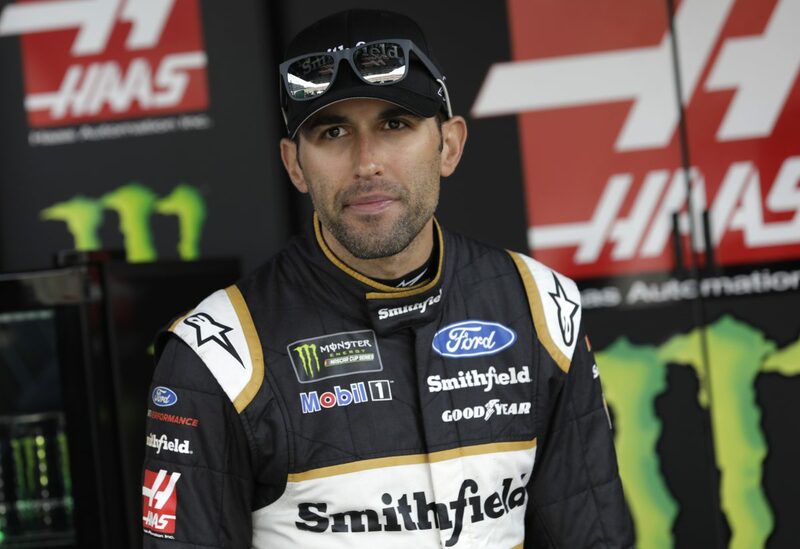 Before the start of the final stage, Almirola once again visited pit road for fuel and four tires, but an issue during the pit stop dropped him from eighth to 16th. Being in traffic caused the No. 10 Ford Fusion to become difficult to handle, but Almirola worked to gain positions. The last caution of the race came out on lap 298, and crew chief Johnny Klausemeier called for Almirola to stay out on the track and take the wave-around in order to get back on the lead lap after a long green-flag run. Almirola was able to retain the 13th position to complete the 246th race of his Cup Series career. Almirola finished fifth in Stage 1 to earn six bonus points. He finished eighth in Stage 2 to earn an additional three bonus points. The Ford driver’s 13th-place finish tonight is the third-best finish of his Cup Series career at the intermediate oval located in Hampton, Georgia. Kevin Harvick’s victory in the Folds of Honor 500 marked the 44th overall win for Stewart-Haas Racing. It was the organization’s 40th points-paying Monster Energy NASCAR Cup Series win and its second at Atlanta. Tony Stewart won at Atlanta on Sept. 5, 2010. All four SHR drivers finished on the lead lap and in the top-13 at Atlanta on Sunday. As a result, all four drivers are ranked in the top-10 of the driver point standings. The next event on the Monster Energy NASCAR Cup Series schedule is the Las Vegas 400 on Sunday, March 4 at Las Vegas Motor Speedway. The race starts at 3:30 p.m. EST with live coverage provided by FOX, PRN and SiriusXM radio Channel 90.